All general pathologists will encounter cardiovascular specimens as part of their day-to-day practice. It is therefore vital that they can recognise and identify the wide range of cardiovascular conditions rapidly and effectively. 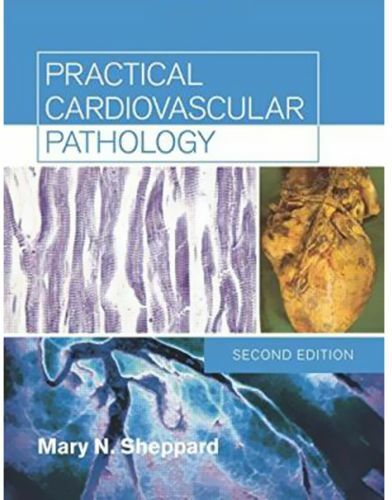 The second edition of Practical Cardiovascular Pathology addresses the problems faced by pathologists in both diagnostic and autopsy work. It has an emphasis on anatomy, practical approaches to the dissection of the heart and includes coverage of the full range of disease entities and possible post-interventional complications. Features: ??? High quality illustrations in full colour to aid diagnosis and act as a reference resource ??? Underlying disease processes are described where they are essential for an understanding of diagnostic criteria ??? Integrated coverage of gross pathology and histopathological features of a wide range of disease processes ??? Discussion of forensic aspects where appropriate The book will prove invaluable to all general pathologists and trainees.